In my book ‘The Apple Exercise’ – I talk about seeing everything in a myriad of different ways. 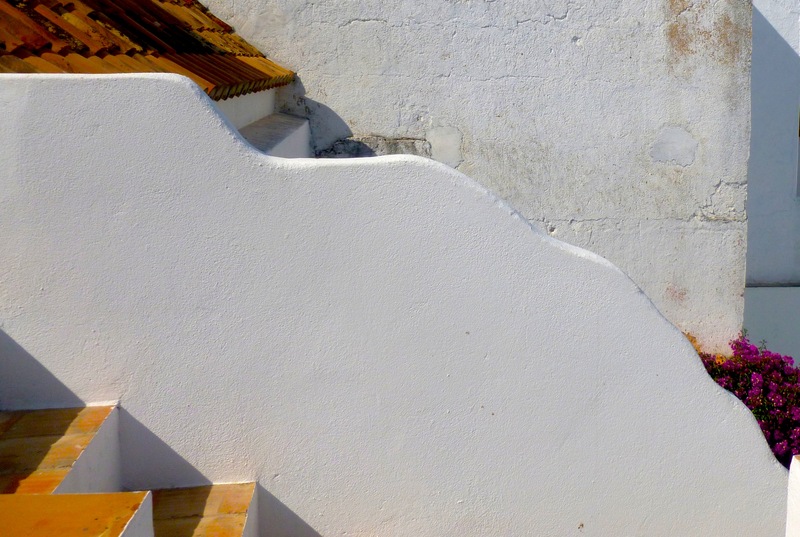 The images on this post were taken at the Art School in Olhao on my recent visit. I am looking at the courtyard, steps, wall and canopy in the Pool House from different points of view – beyond what might be considered the obvious. In fact within each frame shown here there are many different images. 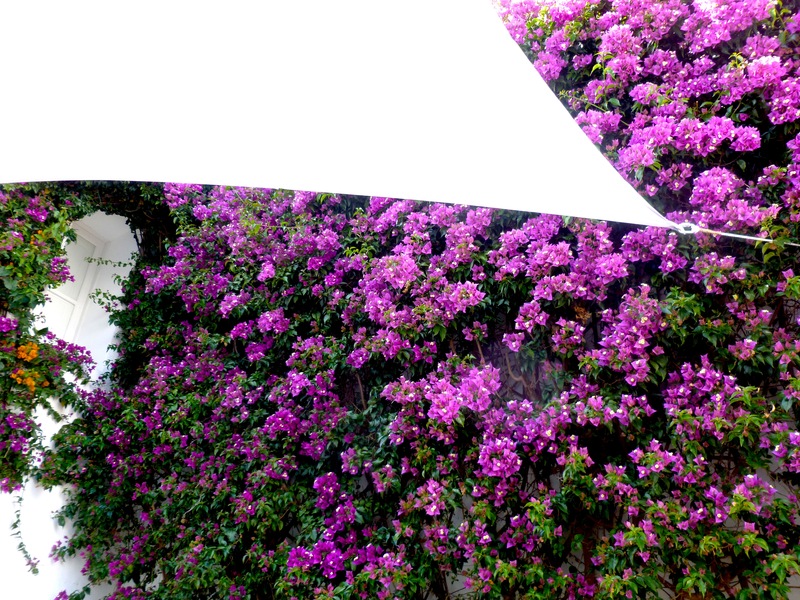 When I walked into the courtyard of the School House, I immediately loved the triangular shape of the canopy along side the softer Bougainvillea. Again, looking at the same subject from a different point of view – gives me new and exciting information. 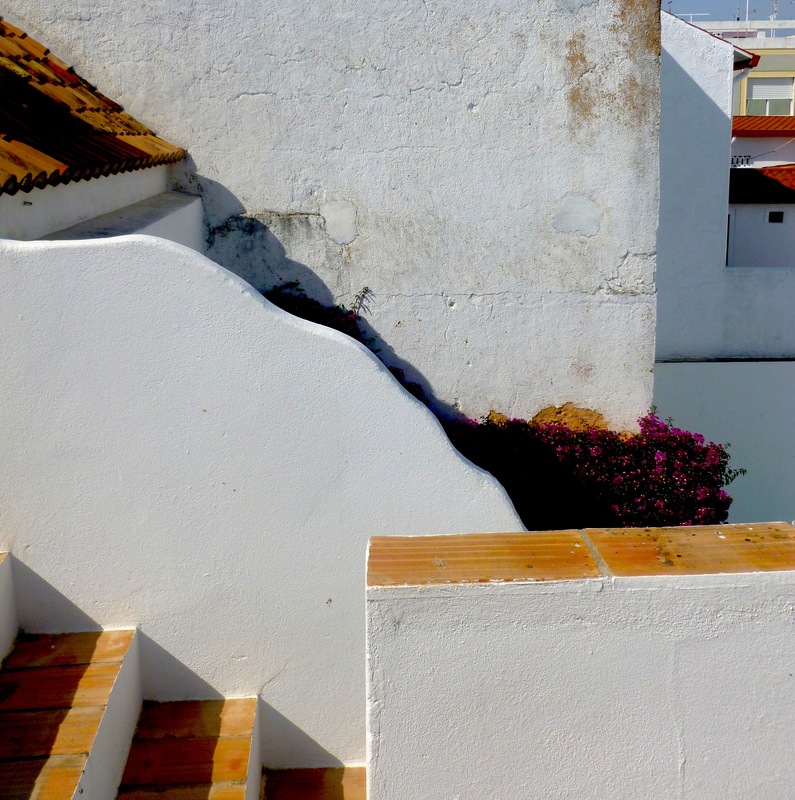 I have begun work on some images reflecting the shapes and shadow play within the numerous alley-ways of Olhao, which I will share as they develop. Observing one small area, is like looking at a jigsaw puzzle of shapes, lights and darks. The Magical Hummingbirds bring vibrant colour to begin the week. 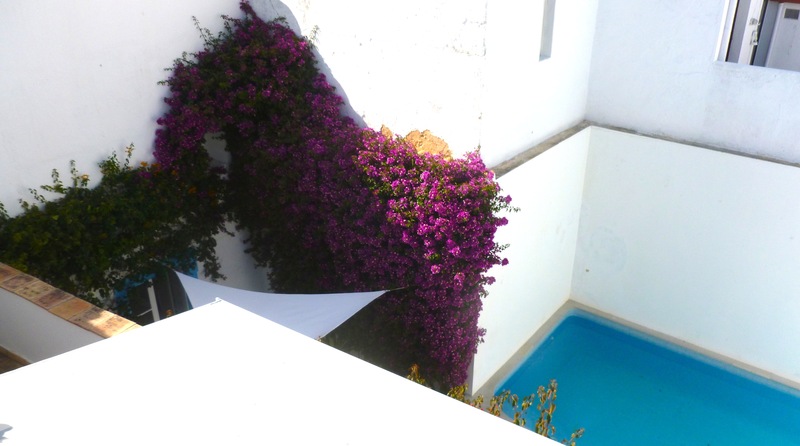 This entry was posted in Uncategorized and tagged long autumn weekends art in the algarve, magical hummingbirds, seeing beyond the obvious, the alley ways of Olaho, the apple exercise, www.artinthealgarve.com on May 11, 2015 by janetweightreed10. Have a happy and fulfilling week, Janet! 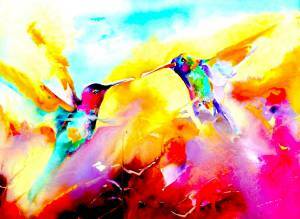 Love your hummingbirds – fluid, luscious colors! 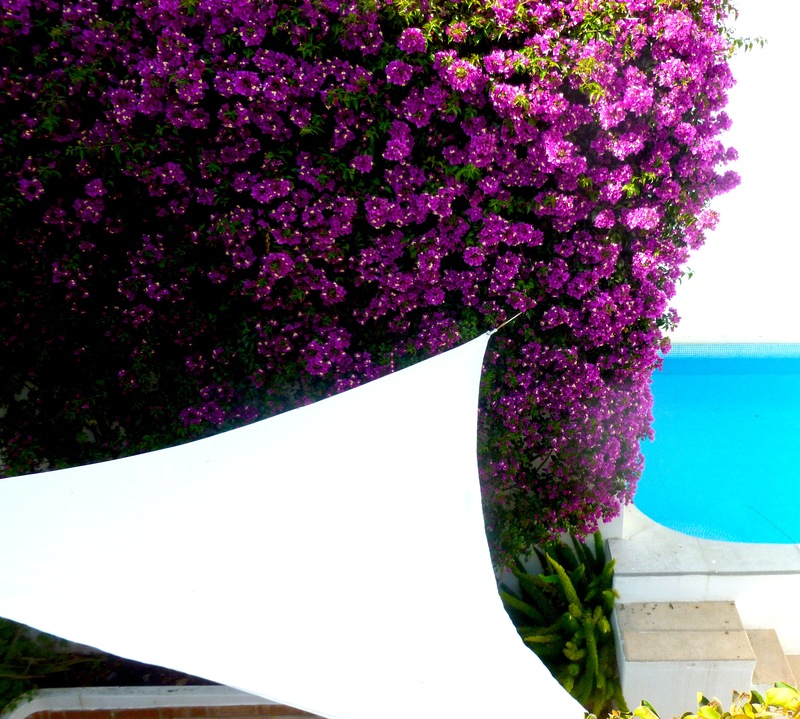 I’m just as excited to see the Bougainvillea, wow and do like the different views. Now I can’t wait to see your work. Thanks for the hummingbirds. They always make the week better. And looking forward to your work. Different perspective indeed changes everything. Your paintings are beautiful. I love the freedom of expression and colors. You are most welcome – wonderful stuff.